Discounted Zoo admission is available to student groups by reservation only. Eligible student groups include public, private, parochial and home schools, as well as Head Start programs. Daycare and summer camp programs are not eligible for the student group rates. Please click here for special pricing. Reservations must be made at least 10 days in advance of your Zoo visit. The student group reservation is complete when the lead teacher receives the registration confirmation email. Bus drivers may receive a Zoo admission ticket if he/she presents a valid school district license at Guest Relations. Please bring payment to the ticket booth on the day of your scheduled trip. Do not send your payment to the Zoo – it will be returned and may delay your visit. We must receive payment at the time of your visit. We cannot admit groups without payment. No exceptions. Please do not create more than one registration for your group. If you need to update your attendance numbers or participation information, or to make arrangements for date changes, log in to your account to make the necessary changes. Having difficulties? Contact the education department via email or by phone at 817-759-7200. If you would like to pre-order lunches from the Fort Worth Zoo, please complete the form below. Lunches must be pre-ordered two weeks in advance of field trip date. To register a group trip June 5 to Aug. 20, 2019, please contact Event Sales. 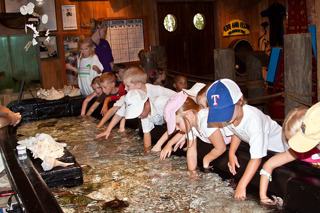 The Fort Worth Zoo Education Department can create a custom, TEKS-aligned program for your school group. Contact Julie Neville or call 817-759-7200 for more information. Please note that lunches must be pre-ordered and pre-paid no later than 14 days before your field trip date. Does your classroom want to help feed an animal at the Zoo? Adopt! Classroom adoptions contribute to the care and feeding of your adopted animal for one full year. Plus, we’ll give you some fun stuff for your classroom and students. Click here to see how your classroom can adopt an animal.